It would seem that the floorboard is not difficult to pick up. It is enough to love the material and the pattern, and the trick is in the hat. But no - it turns out, you need a little bit, but to understand the properties of the tree. After all, different companies produce very similar exterior parquet boards, the characteristics of which may differ significantly. So, the floorboard how to choose it correctly, what manufacturer to choose, what to look for, everything in order. This flooring is multi-layered. The outer layer is a very spectacular valuable wood. Its a bit - it's just a veneer plate. So that a beautiful tree is not erased, it is covered on top with varnish or special parquet oil. 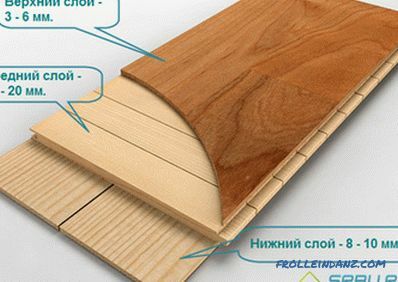 To prevent the floor from deforming when the temperature and humidity conditions change, the inner layer of the parquet board is made of HDF boards (rarely) or of boards (lamellae) made of inexpensive wood. Moreover, this layer, which includes locks, is perpendicular to the finishing veneer. So that the parquet does not bend and acquire the necessary rigidity, one more layer is added - a seamy layer. Well, now consider the stages of the parquet manufacturing process. First of all, you need to select the board of suitable size from the tree of valuable species. They must not be defective. Selected material should be well dried, and then cut into pieces of desired length and width. The resulting identical boards are polished and sorted, checking compliance with the specified parameters. 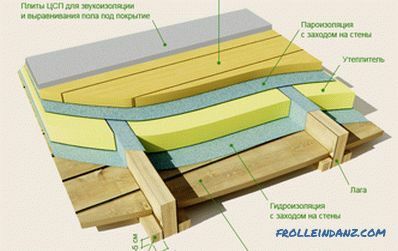 Proceed to the manufacture of the lower and central layers of the floorboard. For them, cheaper wood is used. They take edged boards, sawing them into slats of the desired size. Of them also make veneer plates. Next, the material should be dried. It only remains to collect all this "layer cake". First, glue to the middle layer finish. As already mentioned, the slats are perpendicular to the decorative veneer. After the glue dries, the base is glued to the central layer. The last step is cutting the joints in the inside of each parquet. For this, a milling machine is used. If the interior of the parquet board is not made of wood, but of HDF, then there are no special differences in its manufacturing technology. At first, veneers made of precious wood are glued to a dense HDF slab, and then a base that prevents the parquet from sagging. When deciding which floorboard to choose, it would be nice to know what its varieties are. We list them. Single-sided parquet board - its finishing layer is a single piece. The pattern of wood appears most beautifully and clearly. Two-way parquet board - the top layer consists of two slats, carefully fitted. In length, they can be divided into 2 or 3 parts. 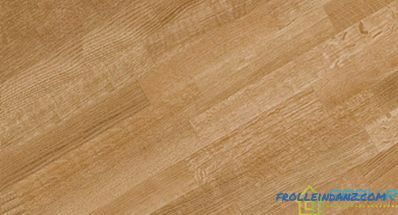 Multiband parquet board - its upper layer is a multicolor pattern of small planks. Very decorative. Each manufacturer has its own requirements for selection. However, there are enough common sorting options. In particular, the way wood is cut for the top finishing layer. There are two cutting methods - radial and tangential. 1. Cutting a radial type is cutting a tree trunk along a line through its core. With this method, the board along the entire length has a uniform texture and color. Its fibers are parallel to the annual rings of the tree, as a result the distance between these rings is very small. With the radial method, the wood dries out and swells two times less than with the tangential one. But it turns out a lot of waste and marriage, and the board as a result is not cheap. 2. 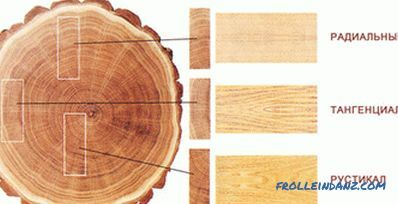 Cutting tangential type is characterized by the fact that the cut lines do not pass through the center of the trunk and relate to tree rings. As a result, the surface of the board has a bright and interesting pattern on which these rings clearly appear. The price of such a board is lower, since very little is rejected. But its technical characteristics are inferior to the radial board. 3. The cut of the mixed type is the way in which both radial and tangential cuts are combined. It is considered the highest grade of parquet. Its texture is uniform, absolutely no heart-shaped rays are observed. Wood does not contain a single knot and defect. Sapwood is also not observed. According to GOST 862. 1-85 such a tree corresponds to category A. However, the surface of such a parquet does not look very original, I can even say that it is too simple. His pattern is simple, there are few color shades. 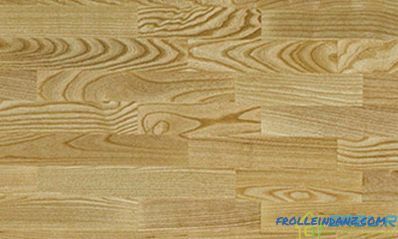 Therefore, for wood flooring such wood is rarely used. They make it, as a rule, shield parquet. Another name for this kind of parquet is standard. It also belongs to the highest category. His natural pattern is clearer, and the smooth and gentle transitions from tone to tone are deeper than in the previous cut. Wood defects such as knots and scratches are not allowed. There should be no sapwood. According to the characteristics, according to GOST 862. 1-85, this tree also corresponds to category A. Cutting in this kind of parquet is mixed. That is, it contains boards, sawn in both the radial and tangential way. Despite the fact that this parquet belongs to the highest grade, it can contain small (no more than 2 mm) knots, as well as streaks, heart-shaped rays and sapwood. The pattern of natural wood is very bright, the differences in shades are clearly visible. Each manufacturer specifies its permissible number of such defects. In this type of parquet, the second name of which is country, there are also boards sawn in both ways. Beautiful natural pattern is very visible, the transitions from tone to tone are very effective. 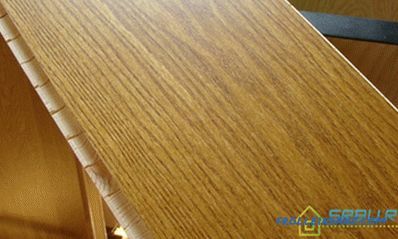 As far as quality is concerned, there can be sapwood, minor wood damage, streaks, and fibers located obliquely. Bunches, even large ones, are quite acceptable, as are heart-shaped rays. Wood, according to GOST 862. 1-85, corresponds to category B. The number of permissible defects is determined by the manufacturer. The second name for this kind of parquet is robust. However, already by the first name it becomes clear that this is the cheapest variety. There is no strict cutting rate. In this hardwood floor may be present boards, sawn in any of the ways, and in any proportion. The manufacturer himself determines how many cracks, knots, and heart-shaped rays can be in the wood. Sapwood, oblique fibers and streaks are perfectly tolerated. Often when choosing a floorboard first of all pay attention to appearance. However, this is not always true from a practical point of view, especially if a dark color board is purchased. She looks, no doubt, luxurious and elegant. But to care for such a floor must be very carefully - he will not tolerate carelessness. It should be noted that the most "gentle" and completely impractical is a dark monochrome parquet with a shiny varnish surface. If you scratch it (and it still happens sooner or later), then the ugly white stripes will be very noticeable. Therefore, if your dream is definitely a parquet of dark shades, then stop your choice on matt varnish. Suitable and oil coating. Not so noticeable will be scratches and on the floor, the surface of which has a two-color contrasting pattern. This can be either a brushed board of two colors, or an exotic dark wood without the effect of toning. After all, if the floor has drops of color tones, then minor damage and dust is not so striking. There is no strict rule in this case. But it is more practical to lacquer the light floorboard, and cover the dark one with an oil mixture or wax. Heat treatment is the process by which wood is heated to about 185 0 C, which gives the floorboard greater stability and provides deep staining. In the future, on such a board may not be so visible scratches. However, some wood species treated in this way can later fade under the action of light, which ones look in the table at the bottom of this material. Oak parquet is mainly subjected to such treatment. When brushing on the outer layer of the board are passed by special brushes. 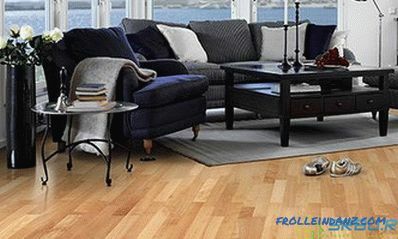 As a result, soft wood fibers are removed, and the surface acquires relief.Thanks to this, the scratches or dents that appeared on the floor are perfectly masked. Care of it does not represent any complexity, accumulations of dirt in small relief depressions are not formed. Barefoot on such a floor is pleasant to walk - it is warm to the touch, the thorn from the tree does not exist. 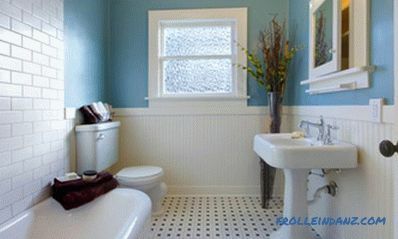 Often it is necessary to decide which floorboard is better to choose - single-sided or three-way. Depends on the choice of how much space is available in the room. Naturally, it is necessary to take into account that part of the room will be occupied by furniture - this area is not taken into account. Thus, if the free space of the floor is small, it is better to stop on a three-strip floorboard. If you still want to choose the highest quality single-sided parquet for a small room, then purchase small boards. For example, from the manufacturers of Coswick, Barlinek or Panaget. It should be noted that the single-sided parquet board is not as susceptible to deformation as the three-strip. After all, even if its middle layer changes its size under adverse conditions, the upper solid web will not allow the board to deform. It is not so important what generation the lock is on the floorboard. The advantage of modern 5G-locks with plastic inserts, is only the speed of assembly. 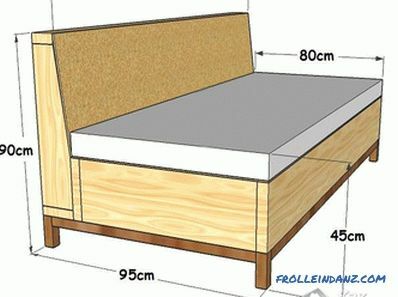 But in no way can the determining factor be that the floor is assembled in a couple of hours instead of four. But experts in laying parquet evaluate their work on the basis of what type of lock is collected. Regarding compatibility with heated floors, it can be said that there is no ideal floorboard for them. All manufacturers of wooden flooring claim one thing: that it is impossible to combine with a heated wood floor, which absorb moisture well. In particular, it is maple, beech, jatoba (Brazilian cherry) and several other exotic species. The quality of the floorboard is almost independent of the hardness of the wood from which it is made. After all, if you walk on the parquet floor on the sharp "heels", then the traces will remain in any case. By the way, mahogany and other exotic species with high density can be used only in those rooms where the temperature and humidity are stable enough. Neither on the Internet nor in the catalog can you find out exactly what color the floorboard has. After all, it was photographed by different cameras, as well as under different lighting conditions. In addition, the computer monitor and can distort colors. Therefore, only going to the store will help you choose the right shade. It is best to choose parquet during daylight hours so that the cold light from fluorescent lamps does not distort the picture. After all at home we, as a rule, use lamps with warm light, reminiscent of natural sunlight. And one more tip how to choose the right floorboard in the store. You need to lay it on the floor so that the light from the window falls on it just as it will be in the apartment. A large format board is not selected by any manufacturer for cutting. Therefore, in the parquet, made of wood of one species, there will be a natural texture. So do not try to look for a particularly beautiful oak parquet pattern, going through the products of different companies. 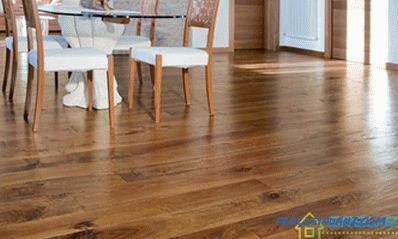 As regards the types of floorboard, they may differ from different manufacturers. The type of nature in which there are a number of defects is mainly applied. This wood with large knots is used for a parquet of dark shades that will be tinted. Light parquet is made from higher quality raw materials because there the knots will be too conspicuous. When choosing a floorboard, keep in mind that even in one lot the shades of the tree may differ somewhat. After all, even boards made from the same tree trunk still have slight differences in color. Especially noticeable difference in shades of mahogany. Smooths color differences such operation as toning. But even after it, the shades will be slightly different. By the way, tinting two different batches of parquet can also give different results. Wood that has not been toned will go well with furniture, baseboards and doorframes. In addition, it is easier to restore it than a tinted tree. Usually either individual strips are displayed on the display case, or shields are assembled from them. The bar is good because it allows you to view the material from all sides, assessing its technical characteristics. And on the shield you can see the joint and how the shades of the individual slats are combined.You just need to remember that shields are usually selected - low-quality strips or unsightly outwardly just cut off or do not take to create a shield. Therefore, when deciding how to choose a floorboard manufacturer, look at the different models. That is how you objectively evaluate the quality of products of this company. After all, the technological line of all models is the same - the shortcomings, if any, will manifest themselves sooner or later. It is important that the wood from which the parquet is made is properly dried. This process can not be called fast. Therefore, cheap flooring is often underdressed - its manufacturers are in too much of a hurry to make a profit. The specialist will be able to determine by sound (characteristic crunch) how dry the board is. Well, if there is no such experience, is it possible to determine that the parquet is made of raw wood? There are several techniques - we list them. 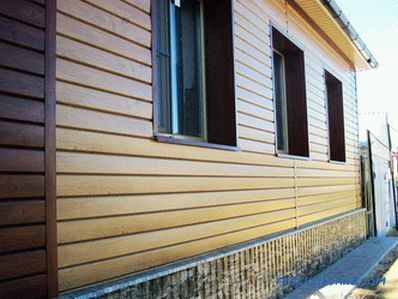 A three-strip board should not have lamellas — its surface should be even and smooth. However, for wood species that absorb moisture well, an exception is made. This, for example, jatoba, birch, cherry, maple, beech. 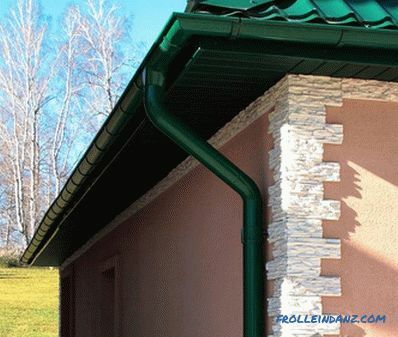 All manufacturers allow small differences in height of lamellae. But for oak (or other stable wood) this is already a marriage. A board of three lanes should have inconspicuous and beautiful joints between the lamellae. 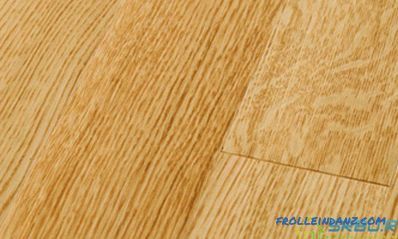 An indicator of the quality of the brand is the presence of single-sided parquet, which has no chamfer. There should not be chipped lacquer coating at the joints between the lamellae. That means the board was raw. This is especially evident on the parquet of dark wood. If there are incomprehensible light stripes on a dark parquet, this means that the varnish was applied to the tree immediately, without priming the surface. Such a lacquer coating will inevitably crack when the wood tapers and expands. Take a look at the inner layer of the parquet board. Ideally, it should be made of the same bars, sawn by the radial method. There must be some space between them to prevent possible wood expansion in summer. 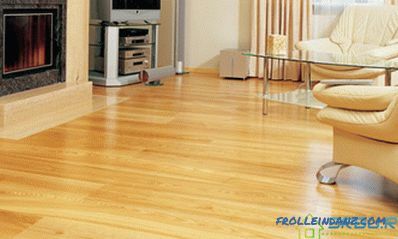 Moreover, a small amount of dropped knots is quite allowed, since this does not affect the strength of the parquet. It is impossible that the gap between the bars of the inner layer and the joint of the upper lamellae coincide. But for cheap parquet this is practically the norm, unfortunately. During the change of seasons, this leads to cracking of varnish at the joints. Therefore, for a floorboard with a medium and high price, such a defect is unacceptable. The veneer layer on the wrong side of the board must be solid. Material - birch or pine. It does not matter if there are traces of fallen small or medium knots. 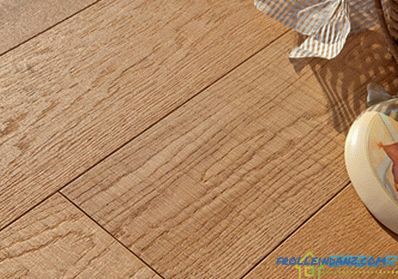 Chinese parquet is distinguished by the fact that from the wrong side it is made of hevea wood - this is not practiced in Europe. This veneer has no knots, and its surface is slightly fleecy. The cheapest types of parquet have a wrong side, assembled from separate parts. Usually used for this waste plywood. Because of this, the board becomes less stable, but it cannot be said that it is much worse than other budget options. After all, a price reduction inevitably leads to the appearance of flaws. The thickness of the finishing layer matters. Even if the manufacturer swears that this layer is 4 mm (this is the norm), it is better to check it visually. After all, in fact, it may turn out that its thickness is only 3 or even 2.5 mm. Although it does not affect the stability of the floorboard, but deception is a deception - you can no longer believe such a manufacturer. When you come to the store, smell the parquet. Foreign odors, except for the faint smell of wood, should not be. If you feel the "chemistry", then there is a reason to be wary. This means that paints were used, which, evaporating, can cause harm to health, especially to children. But the slight smell of burnt wood should not cause suspicion. However, this applies only to the dark parquet, which has undergone heat treatment. After some time, the smell and traces will not remain. If the floorboard is slightly arched, then this is not a marriage. The fact is that the strips take out a certain amount of moisture from the air when they are pulled out of the film packaging. Even a premium board can bend. Although, ideally, wood that dries for a long time in natural conditions is practically unaffected by change. 1. A tree that has dried for a long time under natural conditions does not change its properties and dimensions when temperature and humidity fluctuate. At the joints between the lamellas of such a board will not appear cracks of varnish or cracks. Even if the floor is completely flooded with water, the parquet board will not deteriorate properly. 2. Glue to join layers of the floorboard requires a lot. Diligent manufacturers take for this eco-friendly PVA glue. The board turns out strong and long serves.BUT it is quite expensive. Therefore, not very honest manufacturers, trying to save money, reduce the amount of glue or take cheap low-quality glue. Not only can it be harmful for a person, the parquet also begins to creak and stratify. In particular, its top layer departs from the board. 3. Sustainability and appearance of the parquet depend on how it is coated with varnish and oil. Too cheap lacquer coating quickly scratched. And yet: it is not so important how many layers of varnish there is. Main quality. Obviously, 2 coats of good varnish are better than 10 coats of cheap varnish. So that you can navigate in the characteristics of precious woods, we present you the following table, which will help you decide on the choice of this flooring. Zebrano 3.2 3 The wood has a double color and with a time light t mneet. is absolutely stable, not subject to deformation even for large swings humidity.